BERKELEY, CA  Saul Perlmutter is the winner of the 2006 International Antonio Feltrinelli Prize in the Physical and Mathematical Sciences, awarded once every five years in this field by Italy's Accademia Nazionale dei Lincei, one of whose earliest members was Galileo Galilei. Saul Perlmutter's methods of observation revealed the accelerating expansion of the universe, due to dark energy. Perlmutter is an astrophysicist in the Physics Division of the Department of Energy's Lawrence Berkeley National Laboratory and a professor of physics at the University of California at Berkeley. He is the cofounder and leader of the international Supernova Cosmology Project, principal investigator of the proposed SuperNova/Acceleration Probe (SNAP) satellite, and leader of several other groups whose studies bear on the nature of dark energy. The Lincei Academy  literally "Academy of Lynxes," after that animal's supposed powers of observation  was founded in 1603 at the dawn of the scientific revolution. After many vicissitudes, including having supported Galileo before the Inquisition, closing down after the death of its founder, and various attempts to begin anew, the Lincei Academy was reestablished in much like its present form in the late 19th century. Today it is regarded as Italy's premier scientific academy. The Antonio Feltrinelli Prizes, including the €250,000 (about $315,000) International Prize, are the Academy's most important awards and are considered Italy's highest scientific and cultural honors. On learning of the Feltrinelli International Prize, Perlmutter said, "It's certainly an honor to be recognized by the Academy whose namesake institution championed Galileo, the inventor of the modern scientific method. There's something very appropriate about this history, because in Galileo's time, studies like the acceleration of gravity and the positions of the sun and planets in space must have seemed utterly impractical. Yet it's only by tackling such abstract questions, which can turn out to be much more tractable and pertinent than we first suppose, that we've been able to make scientific progress. So what may seem like an abstract study today  as the accelerating expansion of the universe does  can shape the world we live in tomorrow in surprising ways." In 1988, Perlmutter cofounded the Supernova Cosmology Project with Carl Pennypacker to develop a method of using very distant Type Ia supernovae as standard candles to measure changes in the expansion rate of the universe. By 1994 the group had developed and demonstrated techniques that allowed it make use of scheduled telescope time to find numerous "supernovae on demand." The Supernova Cosmology Project's success encouraged other scientists to renew the hunt for statistically significant numbers of such distant supernovae, needed to measure changes in universal expansion. The search climaxed in 1998, with the announcement by two groups, Perlmutter's and another led by Brian Schmidt, of a startling discovery: the expansion of the universe is not slowing down, as virtually all scientists had expected, but is accelerating. The accelerating universe was named Science magazine's 1998 Discovery of the Year. The cause of accelerating expansion  the reason why all the galaxies are getting farther apart ever faster  has been given the name dark energy, but little else is known about it except that it appears to account for much of the density of the universe  roughly three-quarters. Much of the rest is dark matter, whose nature is also unknown. It thus appears that so-called "ordinary" matter and energy, of which we and everything we understand are constituted, are only about a twentieth of what's in the universe  a realization echoing Galileo's early in the 17th century, when his observations helped prove that Copernicus had been right to suggest that the earth is not the center of the universe. 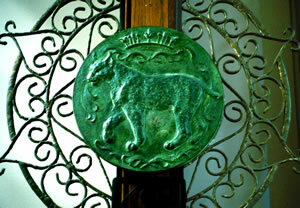 The ancient insignia of Italy's Accademia Nazionale dei Lincei features the keen-eyed lynx as a symbol of scientific observation. Galileo wasn't rewarded for that observation, but the 2006 Lincei Academy's International Feltrinelli Prize is otherwise very much in the Galilean tradition. Feltrinelli Prizes are given in five areas, the arts, letters, medicine, moral or historical sciences, and physical and mathematical sciences. One area is featured per year on a rotating basis, with four national prizes and one international prize each year. Antonio Feltrinelli, an industrialist and financier, bequeathed his fortune to the Lincei Academy to support the recognition of eminent scholars in the arts and sciences; Feltrinelli Prizes were first awarded in 1950. In addition to the cash award, the International Prize includes a certificate and a gold medal. The 2006 prizes will be presented at a ceremony in Rome on Friday, November 10, at which Perlmutter will give an address. Perlmutter is a member of the National Academy of Sciences. 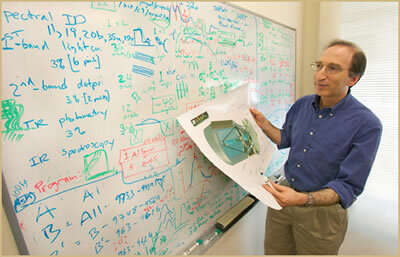 His other awards include the American Astronomical Society's Henri Chretien Award in 1996, the Department of Energy's E. O. Lawrence Award in Physics for 2002, the California Scientist of the Year Award in 2003, the City of Philadelphia's John Scott Award and the Padova Citta Delle Stelle (Padua Prize) in 2005, and, in 2006, the recently announced Shaw Prize in Astronomy.